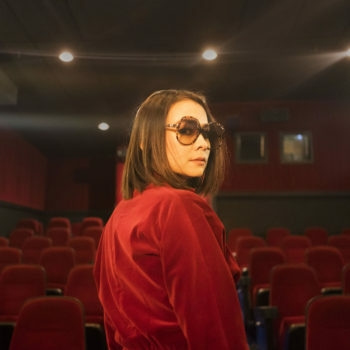 Austin City Limits is thrilled to announce the debut taping of acclaimed indie songwriter and performer Mitski, who will join us on June 4, 2019. Mitski Miyawaki, “one of the most interesting songwriters of her generation” (Paste Magazine), achieved breakout success with 2016’s critically-acclaimed Puberty 2, and soon after circled the globe as a headliner and as an opener for both The Pixies and Lorde. She was hailed as the new vanguard of indie rock, the one who would save the genre from the white dudes who’ve historically dominated it. Her carefully crafted songs have often been portrayed as emotionally raw, overflowing confessionals from a fevered chosen girl, but on her stunning fifth album, Be The Cowboy, Mitski introduced a persona who had been teased but never so fully present until now—a woman in control. Recorded with her long-time producer Patrick Hyland, the album is not a departure so much as an evolution from previous albums. The title “is a kind of joke,” Mitski says. “There was this artist I really loved who used to have such a cowboy swagger. They were so electric live. With a lot of the romantic infatuations I’ve had, when I look back, I wonder, Did I want them or did I want to be them? Did I love them or did I want to absorb whatever power they had? I decided I could just be my own cowboy.” There is plenty of buoyant swagger to the album, but just as much interrogation into self-mythology. Be the Cowboy has earned widespread acclaim, topping critics 2018 year-end best lists. It was named the #1 album of 2018 by the likes of Pitchfork, New York Magazine, ESQUIRE, Consequence of Sound, and more, and #2 by NPR Music, The New York Times (Jon Pareles), and SPIN. Pitchfork proclaimed it “Mitski’s most triumphant record to date, a refining of her many strengths, splashed across the largest canvas her arms can carry.” The New York Times raved: “[Mitski] has grown ever bolder musically, moving well beyond the confines of indie rock and chamber pop to try synthesizers, disco beats, country and more, while savoring the sweep of her voice…On this album, even more than she has before, Mitski makes the music her partner.” “An album defined by impeccable construction and open defiance of the confessional mode,” noted NPR. Want to be part of our audience? We will post information on how to get free passes about a week before each taping. Follow us on Facebook and Twitter for notice of postings. The broadcast episode will air on PBS later this year as part of ACL’s upcoming milestone Season 45.